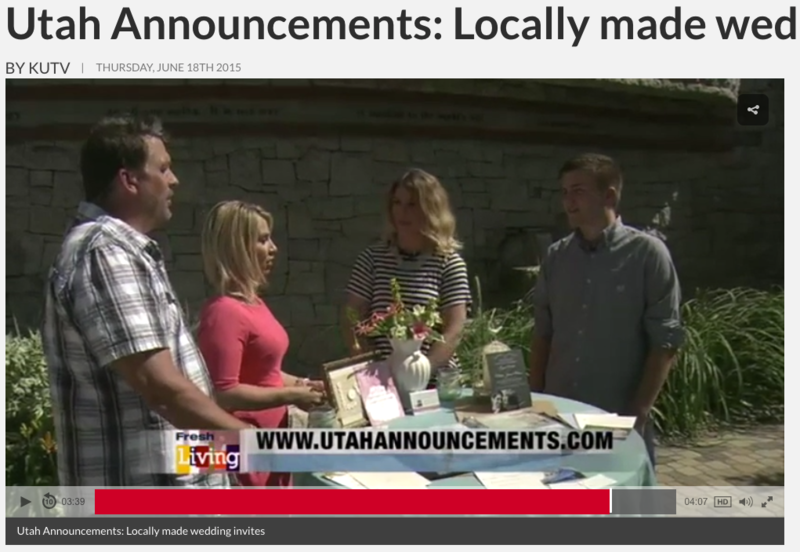 (KUTV) Brad Mills and Sara Wilson from Utah Announcements show you how many options you have when you buy your announcements and invitations locally from nearby designers. Thank you to all the past customers who have gotten us where we are today with this business and we are excited to keep giving brides custom wedding invitations at an affordable price. Contact us for more information about how we can help you get exactly what you want for your upcoming wedding.